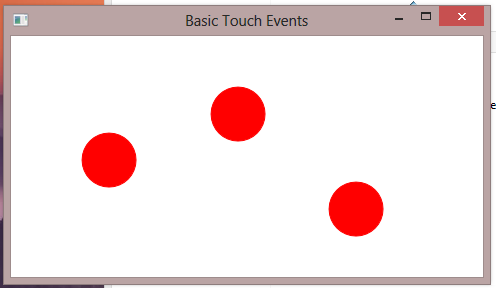 Here’s some sample code that draws a circle for each touch point, when a finger contacts the screen, and then moves that circle around as you move your finger. This is done using the raw touch events–TouchDown, TouchMove and TouchUp. Good Morning sir.. i created circles wherever my finger moves on touchscreen,but i cant able to draw lines wherever i move my finger instead of circle.